Excitement as is related to learning is defined as a heightened state of physiological arousal exemplified by an increased heart rate and blood pressure, and higher emotional and attention. What many educators are not as aware of is how excitement can be harnessed to accelerate learning, and how Montessori educators have built-in mechanisms to their methodology that leverage excitement as a learning tool. Not all excitement is the same, nor does excitement benefit all kinds of learning. 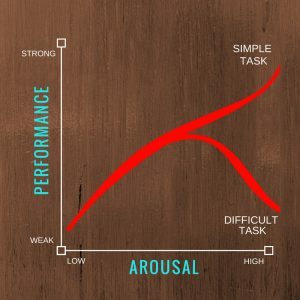 Researchers have identified that moderate excitement can enhance performance and memory acquisition of simple tasks, while too much arousal can impair more difficult tasks. You might be wondering what kind of excitement would be appropriate in a learning setting? To promote a physiological arousal that enhances learning, it doesn’t even have to be related to the learning subject at hand to be beneficial. Imagine your Montessori learning community is deep into their work cycle when a hail storm breaks loose and creates a moment of pandemonium – everyone rushes to the window to view the lumps of hail gathering on the ground. Research shows that this rush of emotion will actually help students remember, and deepen their understanding of what they had been learning about prior to the storm. Why does this work? Positively arousing emotions activates the brain’s reward system and the amygdala both of which lay down memory traces. So how do you leverage excitement? Montessori lessons include paying attention to “points of interest” that can elicit excitement. I think of the “aha” moments when a child (or an adult, for that matter), understands that 3 squared creates an actual square and then extrapolate that 3 cubed creates an actual cube! Or when the narrowest rectangular prism becomes the control of error and fits exactly on every graded step of the brown stair! These moments can be exhilarating and trigger a physiological response that deepens the students’ understanding! As a guide, there is a fine balance of creating space for the student’s own discovery and highlighting these points in our presentations. What Other Forms of Excitement are Beneficial? Other arousal enhancers we can leverage are social interactions (think of how much more exciting it is to learn something new with someone else rather than on your own), exercise, active learning, and interest. All of these are already embedded in our methodology and are enhanced when a knowledgeable guide observes when implementing excitement would be helpful to their students. Now that I’ve uncovered the power of excitement as a tool for learning, what do you plan to implement tomorrow?